Questions about how people make sense of and engage with their personal omic information including their personal genomics and microbiome data, and how comfortable they feel about sharing such information in order to advance scientific and biomedical research, are not only of paramount importance for society and policy makers, but also a pressing issue for HCI researchers. 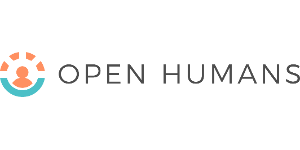 Funded by the National Science Foundation, and in collaboration with Open Humans, we investigate how to design effective interaction techniques to empower nonexpert users to engage with and make sense of their personal omic information. We also explore how user interface design interventions in online consent forms can support informed decision and enable participants of biomedical research to make decisions that are right for them. J. Otiono, O. Shaer, O. Nov, M. Ball. Designing for Collaborative Exploration of Pervasive Personal and Environmental Omic Data, CSCW 2018 workshop on Social Issues in Personal Informatics: Design, Data, and Infrastructure. L. Westendorf, O. Shaer, C. Pollalis, C. Verish, O. Nov, M. Ball. Exploring Genetic Data Across Individuals Using Novel Comparative Report Tools, J Med Internet Res 2018; 20(9): e10297. O. Shaer, O. Nov, L. Westendorf, M. Ball. Communicating Personal Genomic Information to Non-experts: A New Frontier for Human-Computer Interaction, Proc. Foundations and Trends in Human-Computer Interaction, January 2017. L. Westendorf, C. Pollalis, C. Verish, O. Shaer, P. Metaxas, S. Finn, M. Ball, O. Nov. From Personal Genomics to Twitter: Visualizing the Uncertainty of Evidence, Designing for Uncertainty in HCI: When Does Uncertainty Help? Workshop, CHI 2017 Computer-Human Interaction. M. Greis, J. Hullman, M. Correll, M. Kay, O. Shaer. Designing for Uncertainty in HCI: When Does Uncertainty Help?, Workshop, CHI 2017 Computer-Human Interaction. M. Balestra, O. Shaer, J. Okerlund, L. Westendorf, M. Ball, O. Nov. Social Annotation Valence: The Impact on Online Informed Consent Beliefs and Behavior, J Med Internet Res 2016; 18(7):e197. O. Shaer, O. Nov, J. Okerlund, M. Balestra, E. Stowell, L. Westendorf, C. Pollalis, L. Westort, J. Davis, M. Ball. 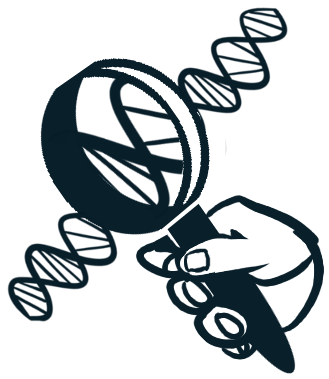 GenomiX: A Novel Interaction Tool for Self-Exploration of Personal Genomic Data, Proc. CHI 2016 Computer-Human Interaction. M. Balestra, O. Shaer, J. Okerlund, M. Ball, O. Nov. The Effect of Exposure to Social Annotation on Online Informed Consent Beliefs and Behavior, Proc. CSCW 2016 Computer-Supported Cooperative Work and Social Computing. O. Shaer, O. Nov, J. Okerlund, M. Balestra, L. Stowell, L. Ascher, J. Bi, C. Schlenker, M. Ball, Informing the Design of Direct-to-Consumer Interactive Personal Genomics Reports, Journal of Medical Internet Research, doi:10.2196/jmir.4415, 2015. O. Shaer, O. Nov. HCI for Personal Genomics: Understanding, Informing and Empowering Non-Experts, Interactions, September-October 2014. 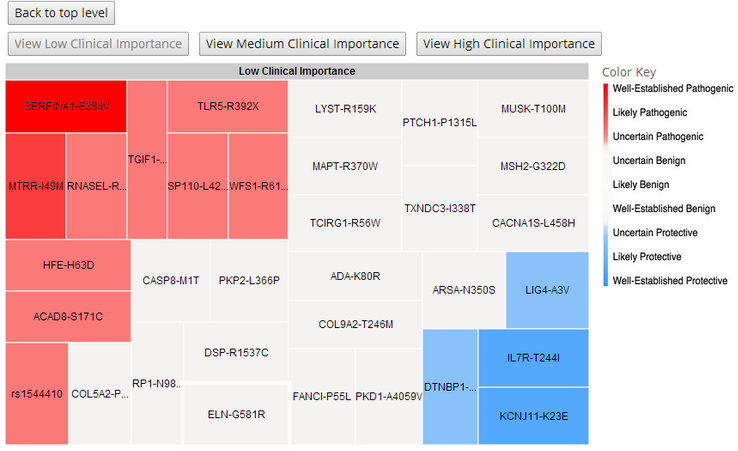 O. Shaer, O. Nov. Treemap Visualization of Personal Genomic Reports. Biovis 2014. O. Shaer, O. Nov, A. West, D. Eastman. 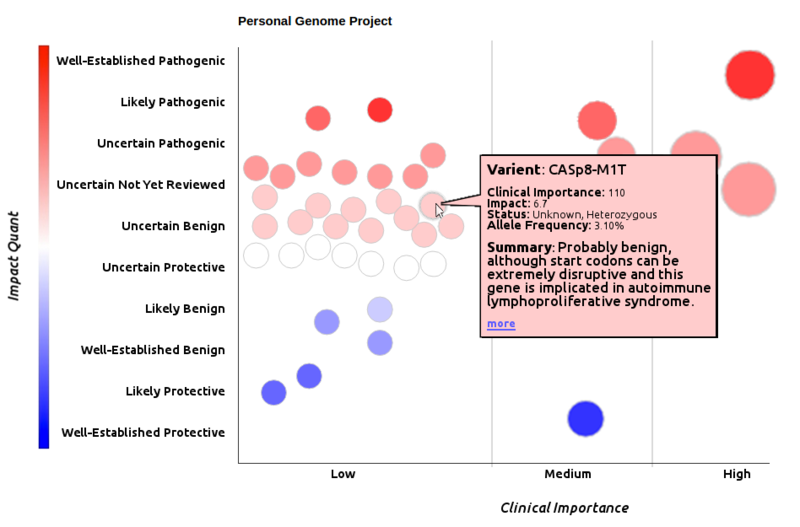 Understanding Information Practices of Interactive Personal Genomics Users. Extended Abstract, ACM CHI 2014.